Fendi is revved up for a tour of the United States this summer starring a one-of-a-kind traveling pop-up store and a stylish nod to 20th century Italy. 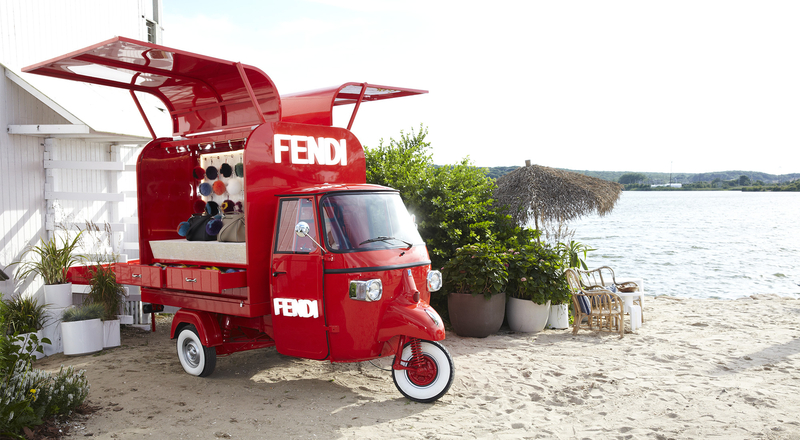 Fendi is taking a road trip across the United States in an Ape Piaggio, the iconic three-wheeled Italian truck created in the late 1940s and specially updated for the US trip. The Roman house has transformed the stylish vehicle into a pop-up store that will take some of its most coveted handbags and accessories across North America. The road trip kicked off at the beginning of July in Montauk in the Hamptons before heading to Long Island. Its journey includes a stop at the Toronto International Film Festival in September before heading for Los Angeles, New York and Miami for Art Basel in December. Follow the Fendi Road Trip on Fendi social media sites on Instagram, Facebook, Snapchat and Twitter.